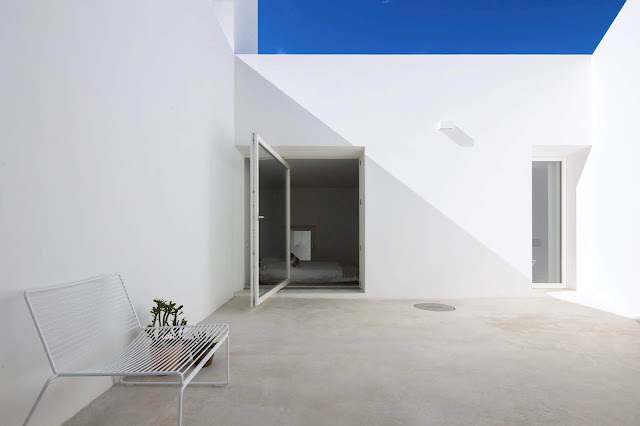 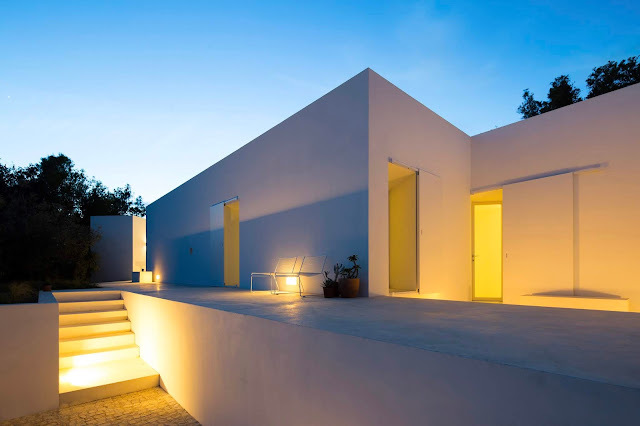 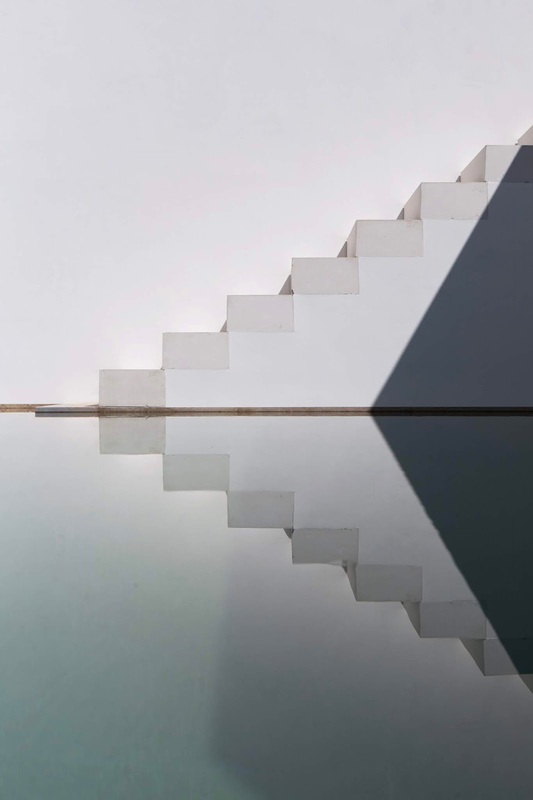 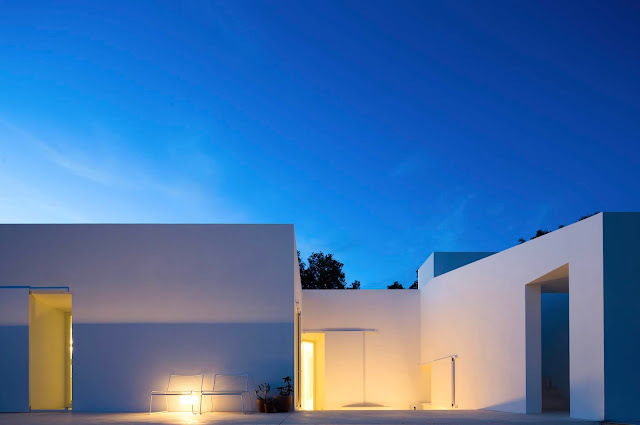 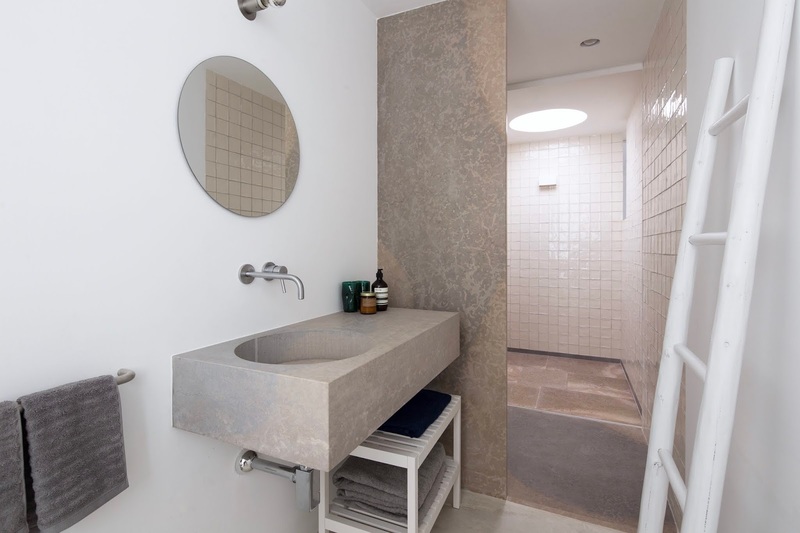 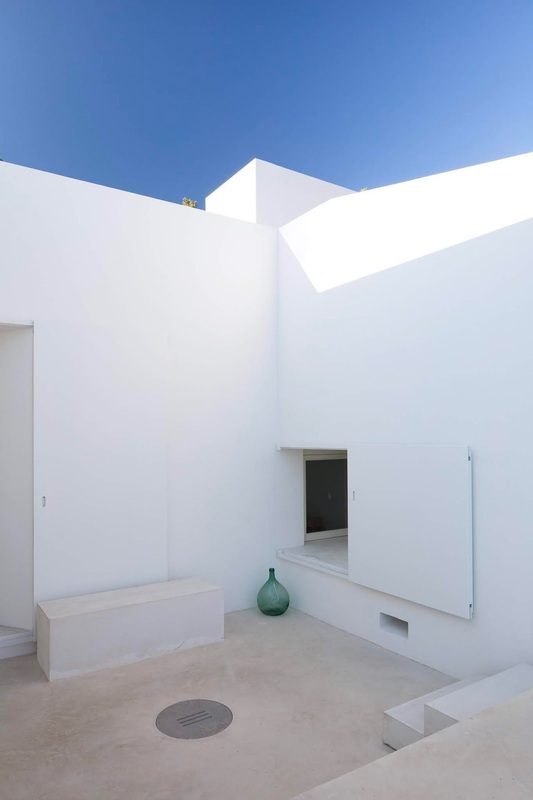 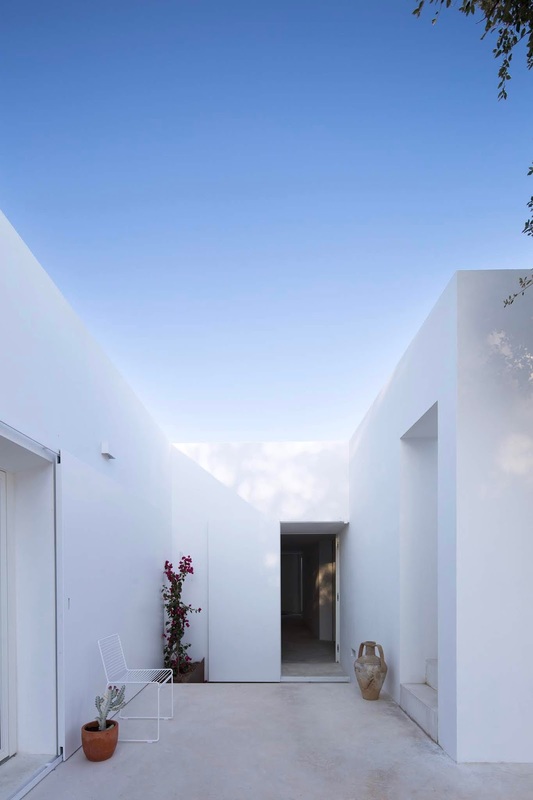 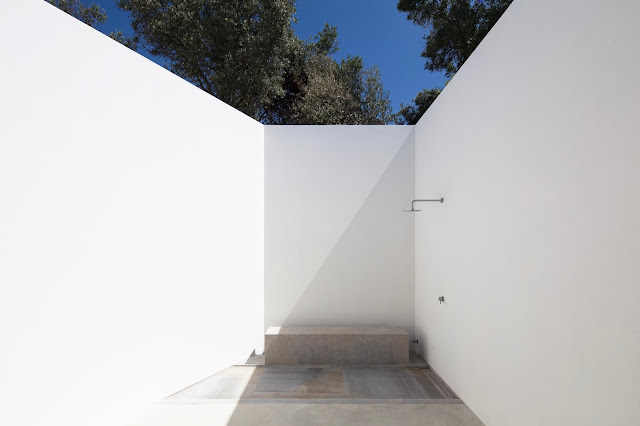 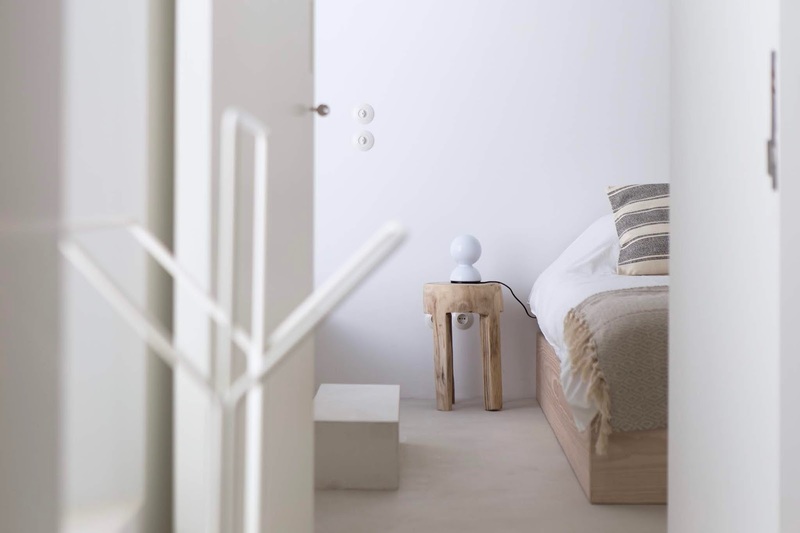 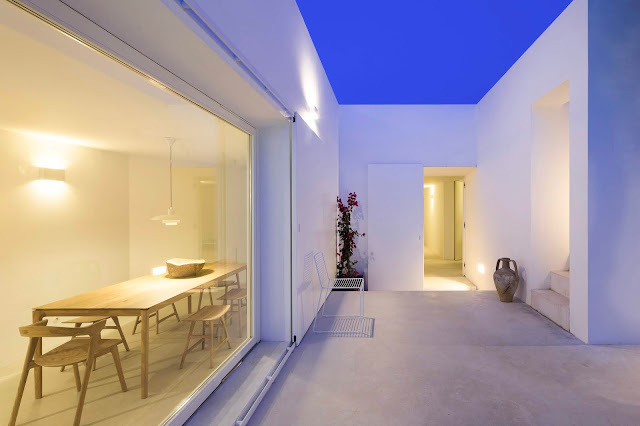 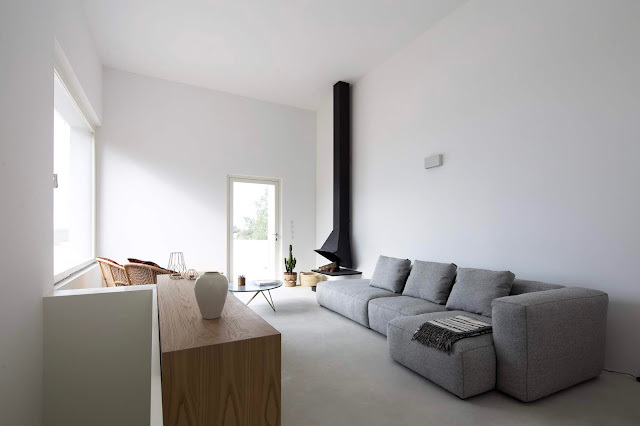 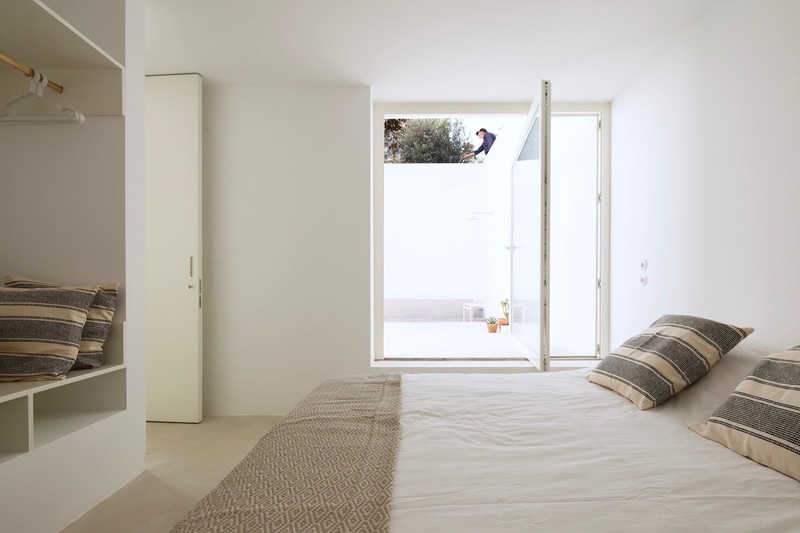 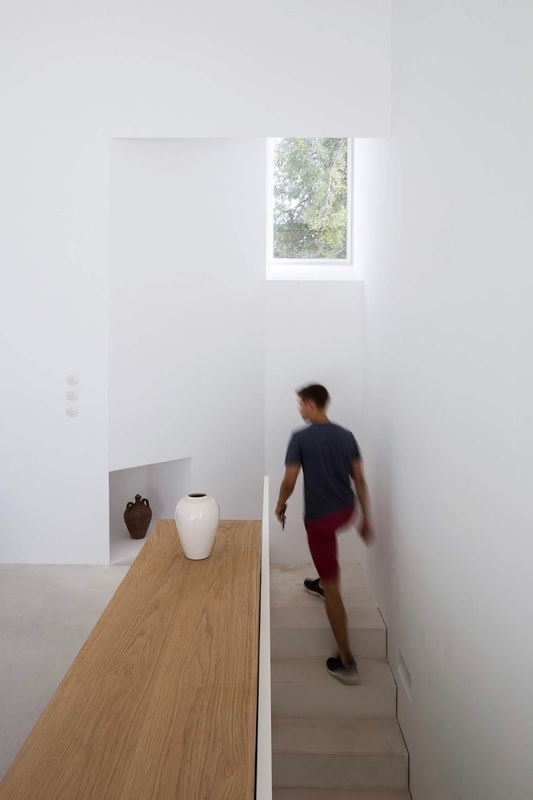 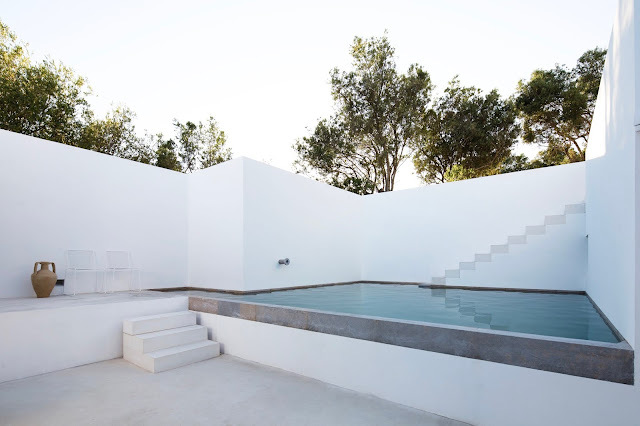 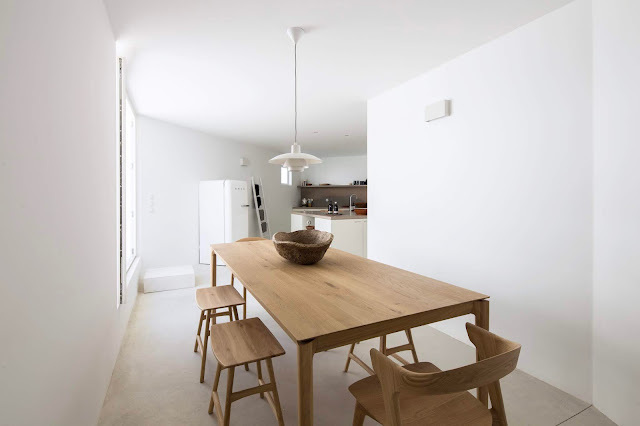 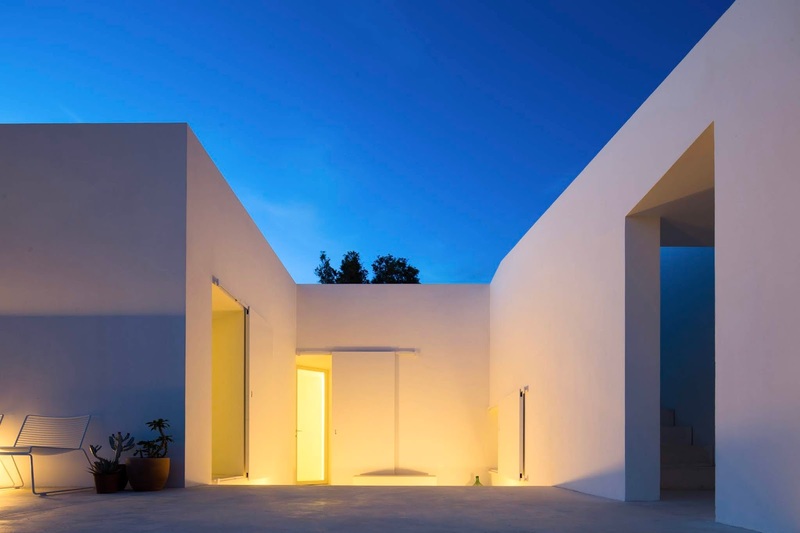 Located in Agostos, Faro, Algarve, Casa Luum is a new minimalist villa in the south of Portugal. 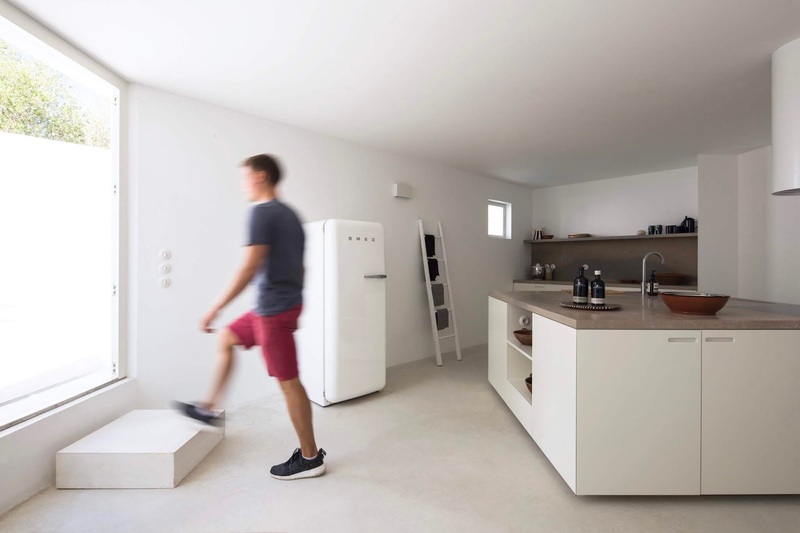 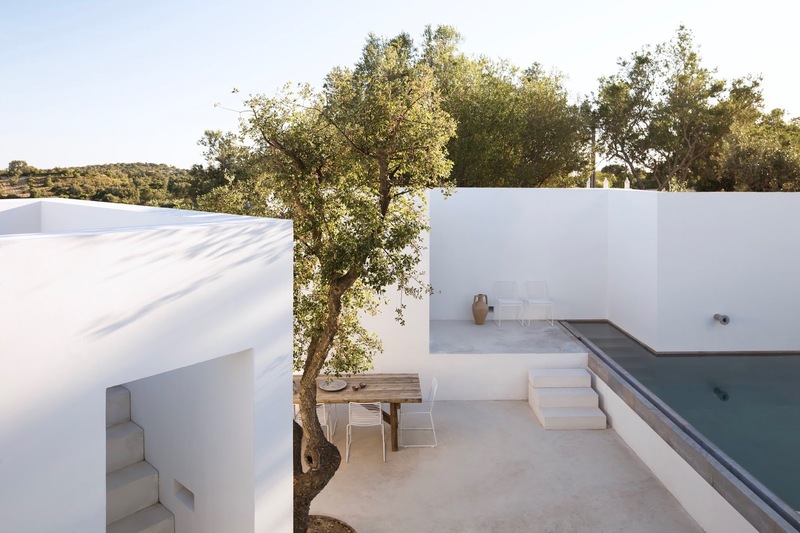 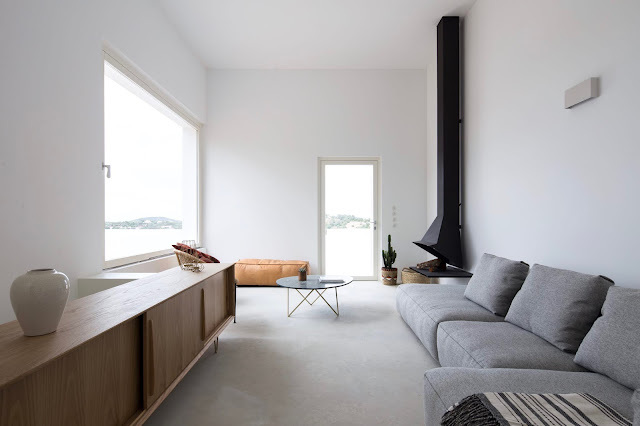 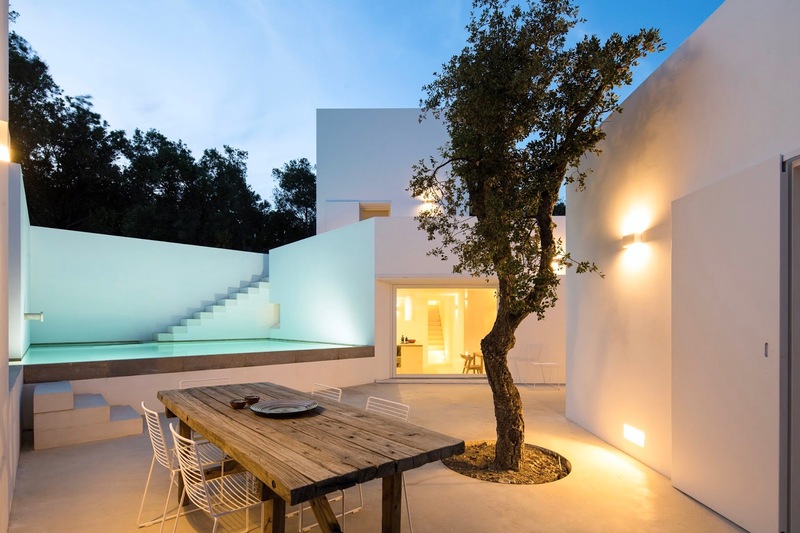 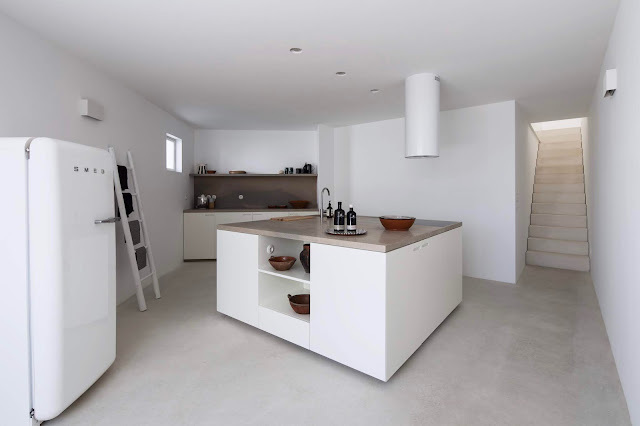 Designed by Pedro Domingos Arquitectos, the house features clean lines, white walls and is surrounded by pure nature, olive, almond, cork trees and wild flowers. 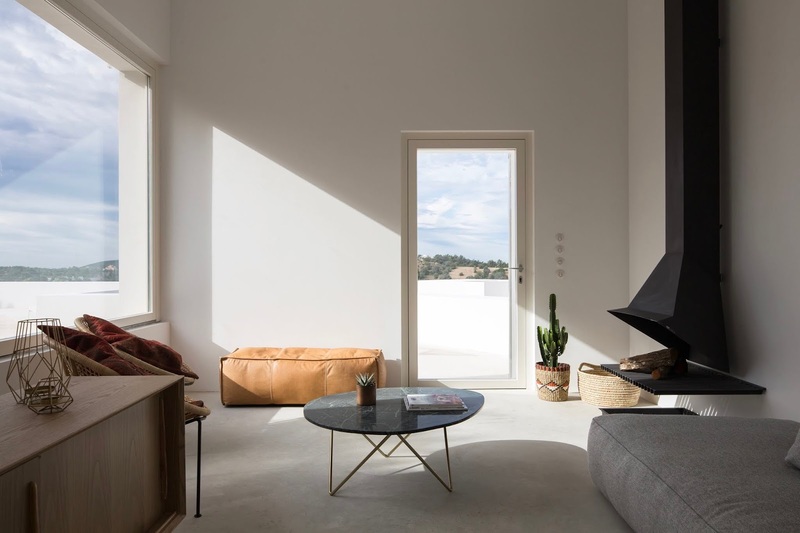 This architect designed villa on the Algarve, combines minimalist, stylish living with locally sourced and crafted features throughout. 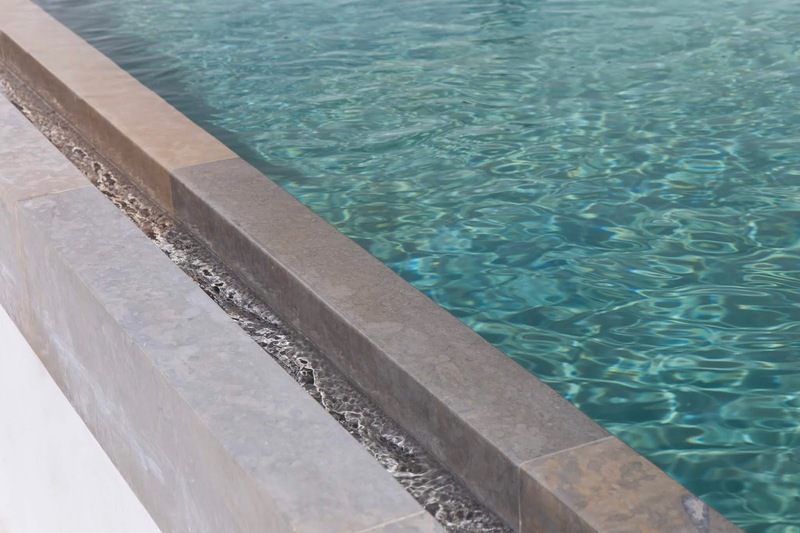 The main living spaces are arranged around the pool and outdoor dining area with well thought out lighting, providing a wonderful space for dining and socializing at night as well as during the day. 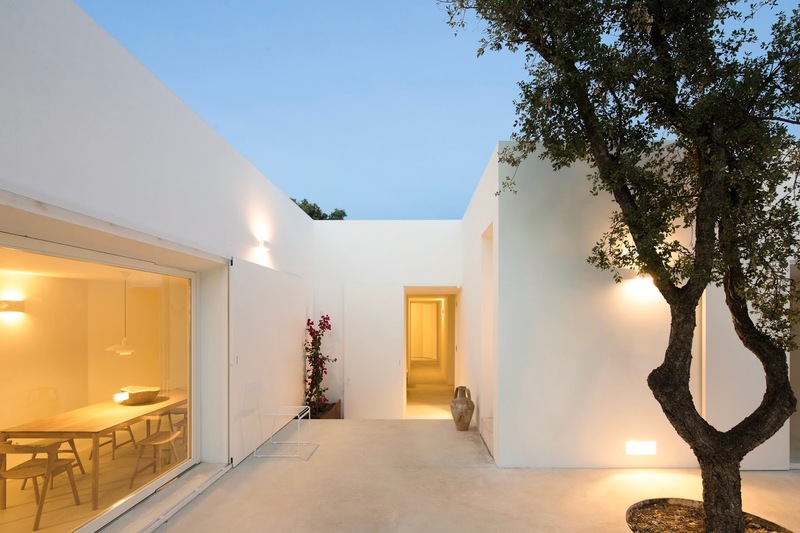 The atmosphere is further enhanced by the tranquility of this villa's surroundings, set in a 2,500 square meter plot within a nature reserve. 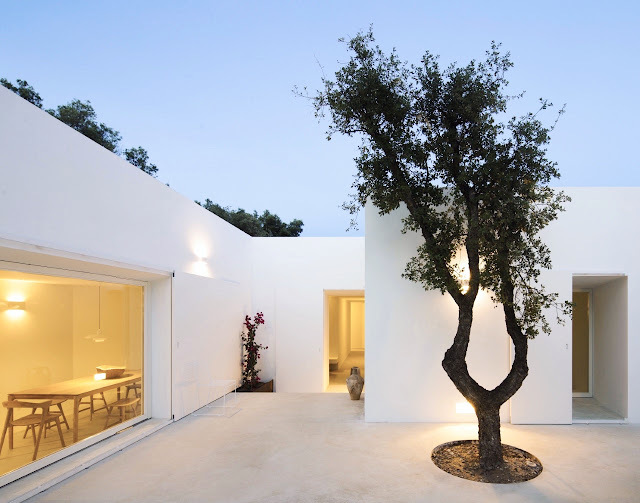 Only greenery, olive, almond and cork trees surround you. 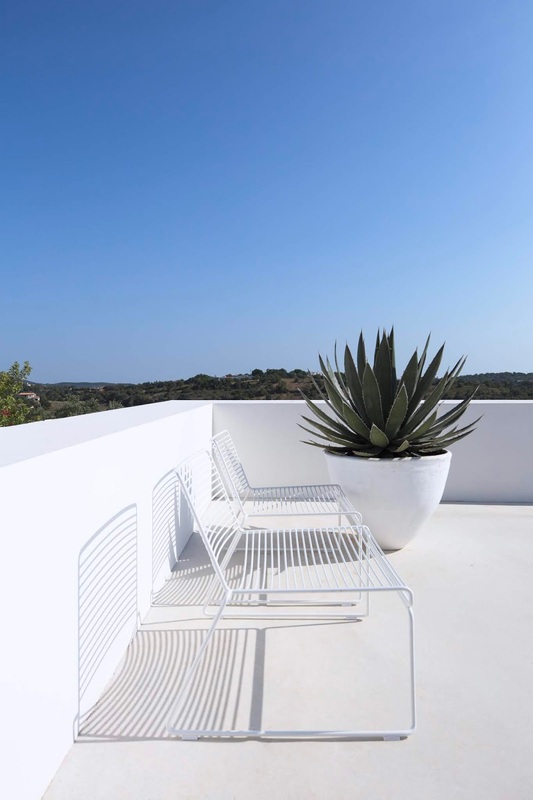 Sun worshipers will love the roof terrace; not only is this a perfect spot for keeping your tan topped up, it also offers you a wonderful view of the surrounding countryside and carefully designed gardens. 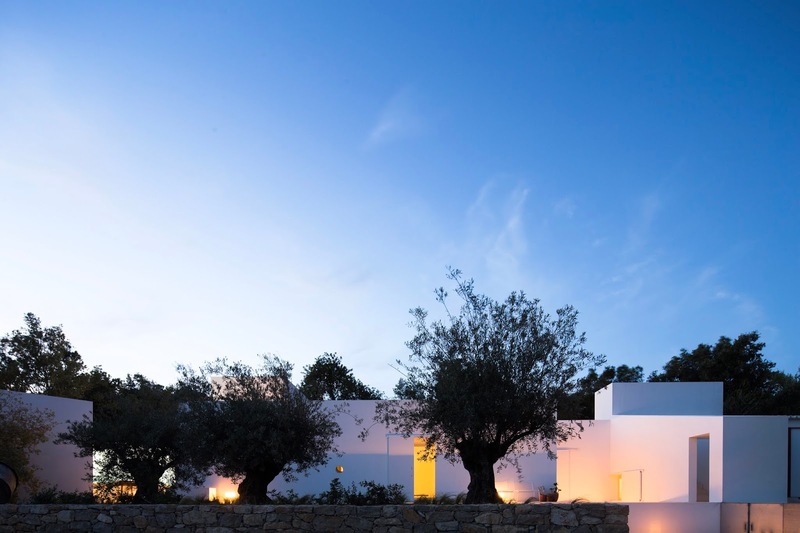 The garden was designed by Lisbon-based landscape gardener Sigmetum, and is filled with seeds collected from the wild by botanical architects and grown them in private nurseries, which adds further authenticity to your surroundings. 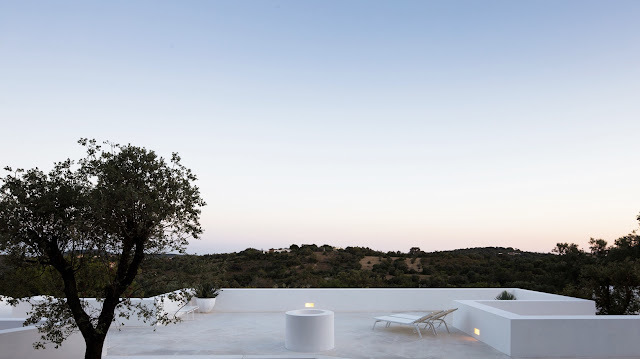 By night, the roof terrace is the perfect spot for sunset cocktails or a night cap under the stars. 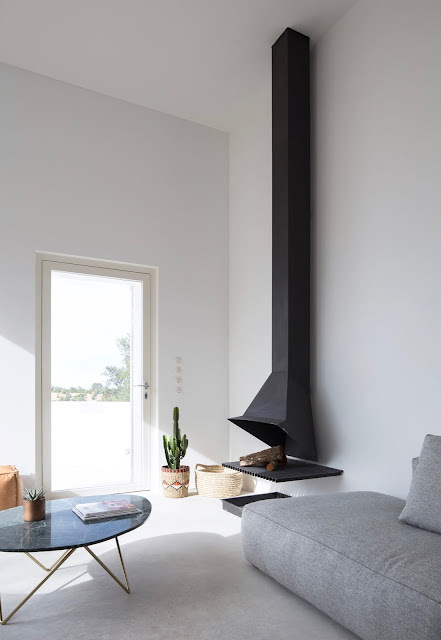 On cooler evenings you can light the architect designed fireplace in the upper floor living room and enjoy the views through the large feature window all cosy and warm! 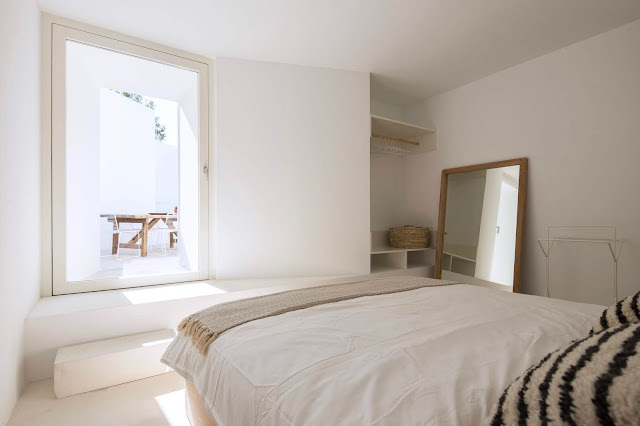 There are four tranquil double bedrooms, all in the same clean minimalist style, offering easy access to the terraces outside.